But let’s not stress about my weirdly destructive imagination, as the clock counts down to midnight and the ball begins to crawl drop, it seems only appropriate to have a glass of something sparkling in hand. 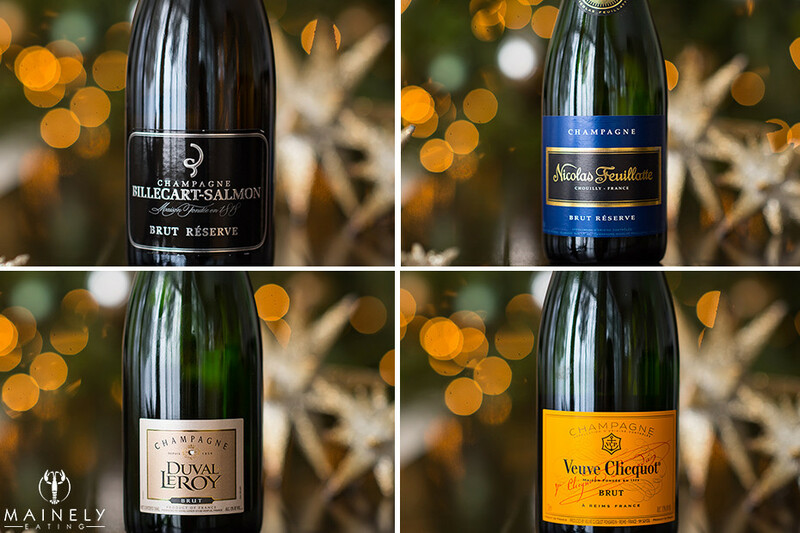 I thought I’d share my favorite Champagne and sparkling wine recommendations. But first – what’s the difference between the two? Strictly speaking, Champagne is a protected designation of origin and should only be used to refer to sparkling wine that originates in the Champagne AOC of France. European countries comply with this law, so Italian, Spanish and German sparkling wines are known as Prosecco, Cava and Sekt accordingly. A weird legal loophole means the USA is entitled to break the rules. In 1919 when the Treaty of Versailles was signed to end WWI, terms were included to limit the use of the word “Champagne. The US never actually ratified the Treaty of Versailles plus, the US had the whole prohibition thing happening so rules governing the labeling of sparkling wine seemed somewhat irrelevant at the time. Generally speaking, the better US vineyards (many of which are owned by French Champagne houses) voluntarily comply with this regulation, labeling their wines “Méthode Champenoise” or more recently “Méthode Traditionelle” meaning that the wine is made in the same way as French Champagne but made outside of the Champagne region. Billecart-Salmon Brut Reserve NV – fine bubbles, clean yet full flavor. Nicholas Feuillatte Brut Reserve- a smooth and balanced Champagne, subtle in taste. Note that I’m referring to the NV (non-vintage) options for each Champagne house, you can shell out additional dollars to get a vintage bottle (the year will be clearly marked on the label). Champagne houses only release vintages that are superior so a vintage offering can be a nice touch – especially if the vintage coincides with an anniversary year or other special occasion. There are also the big boys of the champagne world that’ll cost you $100+ a bottle but being completely honest I can’t taste the difference, but maybe my champagne palate just isn’t that well developed. If you want to feel like Jay-Z or Puffy then check out Krug, Cristal or Dom Perignon. Something like Korbel or J. Roget. As a general rule, if a US wine uses the word “Champagne” on the label they’re about as far away from Champagne as you can imagine. This kind of wine usually has carbonated bubbles added after the fact (vs. fermenting in the bottle), and is best enjoyed in a cocktail where the other ingredients will disguise the underwhelming flavors. 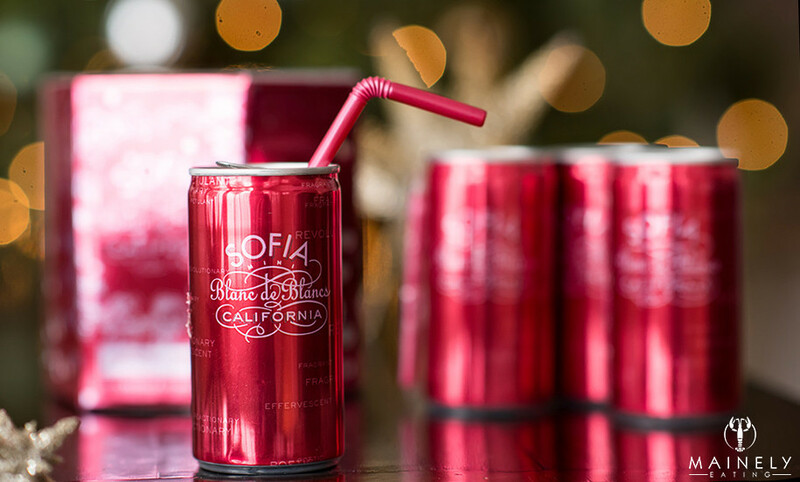 For the sheer cuteness factor you can also check out Sofia Blanc de Blancs, 4 x 187ml tiny cans with expandable pink straws, They feel like juice boxes for grown-ups. Domaine Carneros Vintage 2010 – this Champagne-style wine hails from the Tattinger family and is toasty, complex and delicious. The Brut Rosé is also particularly enjoyable. Schramsberg Blanc de Blancs 2012 – if my memory serves me correctly. I believe this is the only non-French sparkling wine served in the White House, at least that’s what they told us on our tour of the Napa vineyard. If you come across the Schramsberg Mirabelle label that’s also a winner. 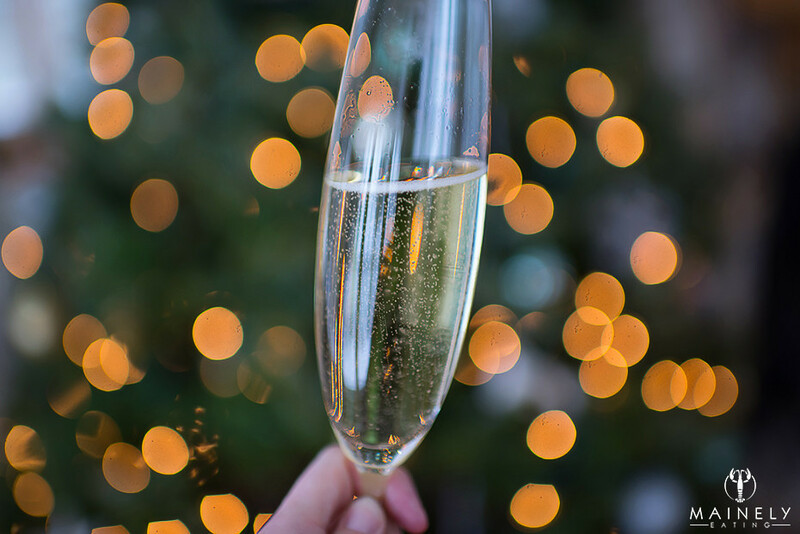 And heading back across the Atlantic to Italy or Spain, a Prosecco or Cava can be a great choice, especially if your menu incorporates Italian or Spanish influences. They don’t have the same complex and almost-yeasty flavors of Champagne but they’re affordable and pretty tasty! I like to enjoy a good Champagne in it’s unadulterated format – cold from the refrigerator or an ice bucket. 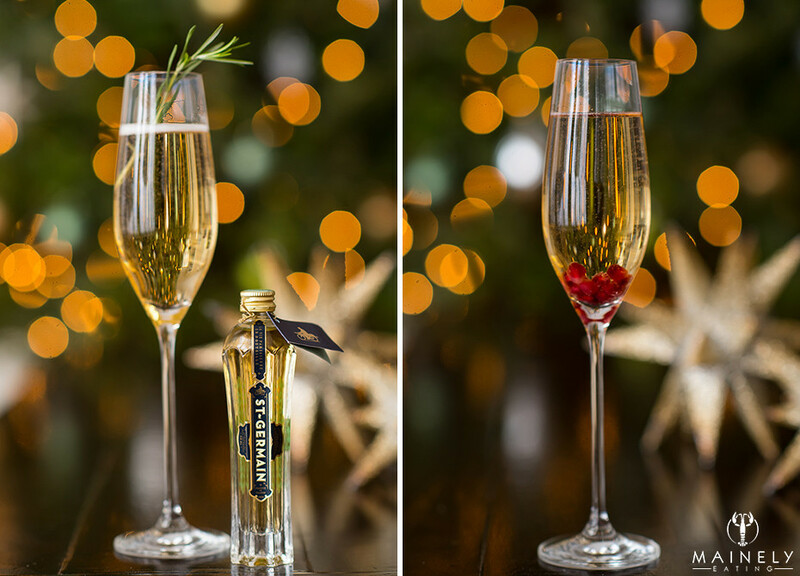 If you want to play around with Champagne cocktails then it doesn’t hurt to switch to a more affordable Prosecco or Cava. French 75 (call it a soixante quinze if you want to feel more French): In a cocktail shaker, mix 3tbsps gin, 1tbsp lemon juice, 1tbsp simple sugar, 1/4 cup sparkling wine and some ice. 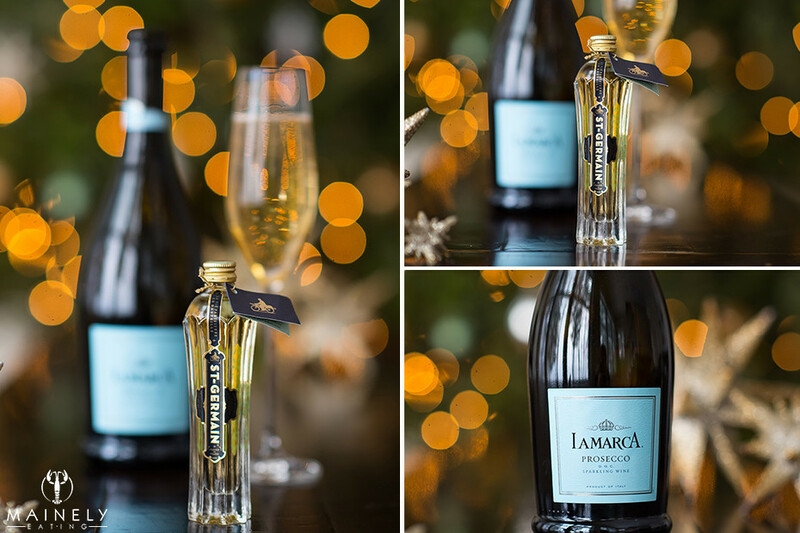 Strain into a well-chilled Champagne flute and top with sparkling wine as needed. Add a long twist of lemon peel. It’s always thoughtful to have a non-alcoholic version of drinks for any teetotal or non-drinking or driving friends. Most of these cocktails can be made with a flavored sparkling spring water in place of the Champagne – Perrier with lime or San Pellegrino are both great options. Happy New Year & Cheers! 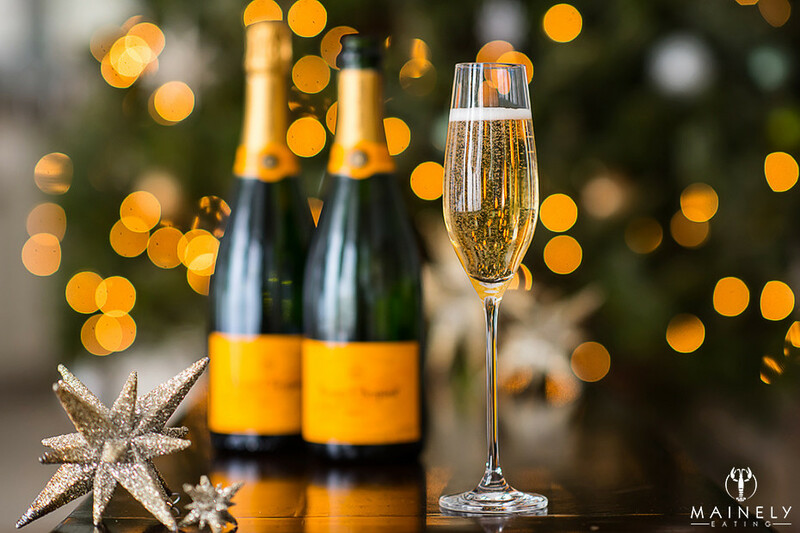 This entry was posted in Entertaining, Wine and Champagne and tagged Champagne cocktail recipes, Champagne for New Years Eve, Champagne recommendations by Mainely Eating. Bookmark the permalink.